Chea Charka is a 43 year old mother of five children and active volunteer in Toul Treas. This is her story. "After FH came to help develop my village, I became a volunteer. During that time I also learned some agriculture techniques. For example, vegetable planting, animal raising, making organic compost and natural pesticide. FH staff is such a great encouragement to me; they always came for home visits and were coaching me. Through them I understood the value of education and why I should allow my children to go to school and join a children’s club. Now I grow a vegetable garden using the techniques I learned from FH. I plant cucumber, wax gourd, morning glory, mint, pumpkin, corn, long beans, cabbage, onion leaf, chili, cassava, and rice. Our food is not a problem anymore and I can earn 30,000 R to 40,000 R ($9.46 CAD - $12.60 CAD) per day by selling my vegetables. 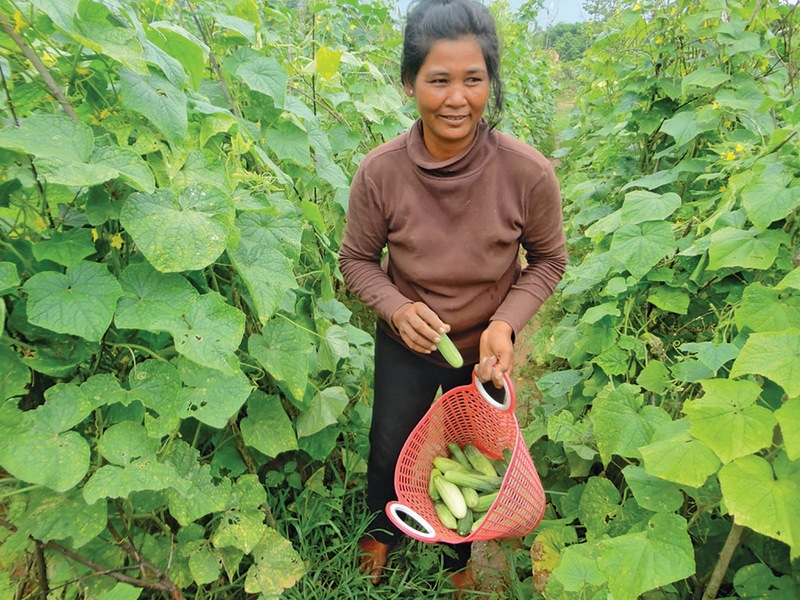 To partner with more moms like Chea Charka, buy fruit and veggie seeds!